Calling all you ghosts, pirates, zombies, superheroes, and that small army of Queen Elsas — it’s time for your closeup. 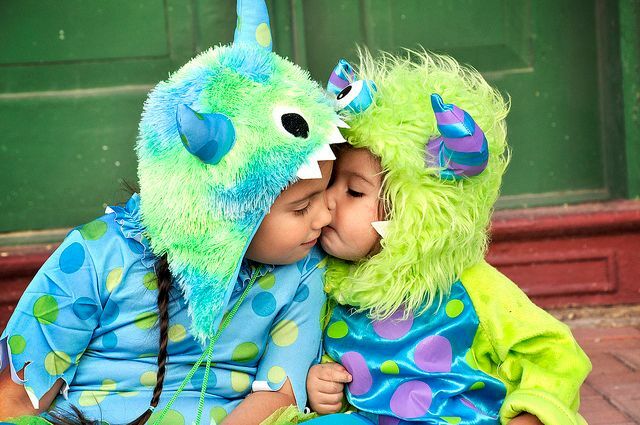 Because one of the best parts of Halloween for us, besides stealing our kids’ fun-size Snickers, is getting photos of the kids in costume along with the rest of the spooky, kooky happenings around the neighborhood. Let’s face it, Instagram was basically created for moments like this. So I’ve rounded up 7 quick and easy tips with some beautiful photos that help bring them to life. I hope they help you make digital photo magic in the dark and land pics that will be true keepers this Halloween. We’ve said this many times before but we’ll say it again, three times for emphasis: Skip the flash. Skip the flash. Skip the flash. Natural light is always your best bet for photos. And that’s great for parents of little ones who may be out trick-or-treating earlier in the evening. Everything is just softer, prettier, brighter, and all-around better without manufactured light. Plus, the flash often gives pictures a certain harshness and, worse, can create the dreaded red-eye effect. Do not want. However, there are times when using a fill flash outdoors, even in daylight, can actually help round out a photo. Like when your subject is a little backlit and you want to eliminate shadows on those cute faces. So let’s say, skip the flash when it’s your only light source. You’ll be so happy with the results. Photographing a dress rehearsal can be another smart way to make use of natural light, but if that’s not an option — should you have the only kids on the planet who didn’t want to start putting on their costumes at 6 a.m. Halloween morning — then getting an early start is perhaps the best photo tip for parents when it comes to capturing Halloween fun. However if you prefer playing up the night mood, one of my favorite tricks is to try taking kids’ photos at dusk, just before it becomes totally dark outside. 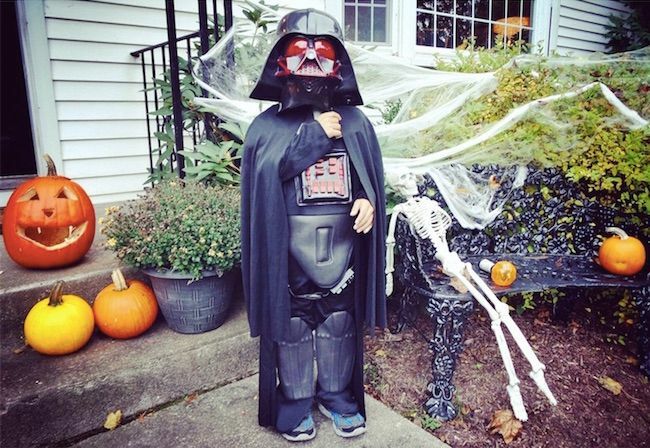 Like the amazing photo by Alexia Sotelo up top demonstrating just the perfect magic hour moment for photographing costumes — or my own photo of my son right here as Darth Vader You’ll be amazed at what a difference an hour can make. Most digital cameras — even the nifty cameras on many smartphones — have a Night Portrait setting that essentially combines the flash (an instance where it works) that acts as a spotlight on your subject, with a long exposure that helps to “fill in” the background of the image. Be sure to play around with it before Halloween though so you have a sense of how to make it work for you before the little goblins get restless. And if your phone or camera doesn’t offer Night Portrait, there’s an app for that! 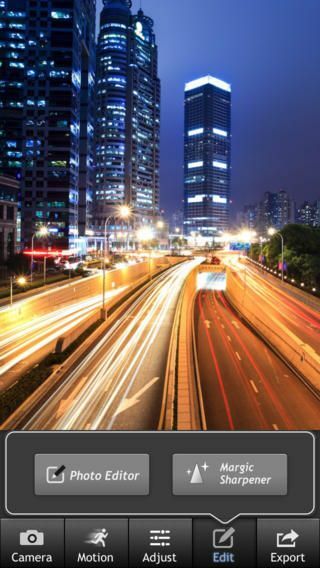 Download the LongExpo app (free, shown above) for the same effect. If it’s officially dark out and you opt to nix the flash altogether (still my recommendation), you can find an environmental light source using the glow of the streetlights outside, a TV screen, a flashlight, or even a front porch light. 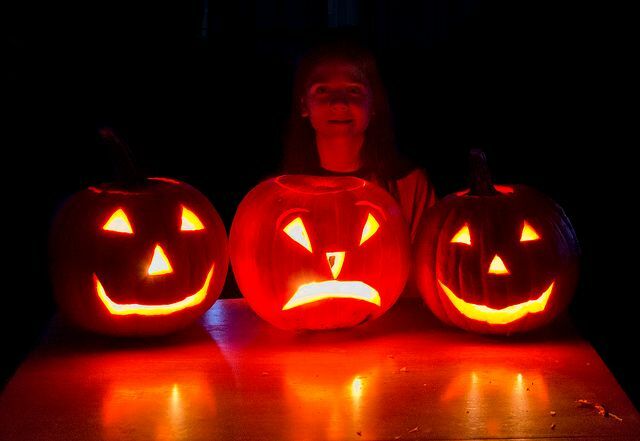 Hey, even some rad jack-o’-lanterns will do the trick, like in this terrifically eerie shot from Randen Pedersen. The pumpkins provide ambient light, which is just a fancier way of saying natural light. As in, not that dreaded flash. Sometimes it’s just a matter of looking around to see what’s glowing, then positioning your subject a little closer to that existing light source. Psst…zombie family…a little to the left. 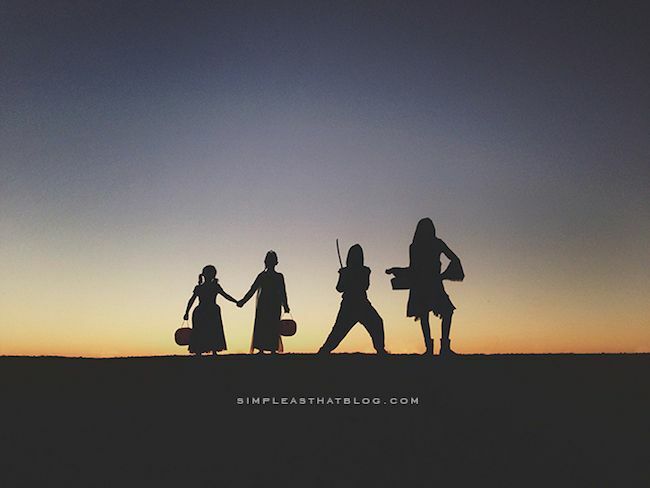 For something truly unique and cool, make a spooky silhouette by using a bright, but low-sitting light source, such as the setting sun, to your advantage. Place your costumed kiddos so that the light is behind them, creating a shadow, while you snap your pics facing the light. Another smart tip is kneel down so you’re shooting from below while your photo subjects are slightly elevated above you. Or maybe there’s a small hill or sloping playground nearby that you can use. Then you can all bask in the glory of that frameable photo you’ve captured that’s as good as any movie poster like the one above from Simple As That. Wow. 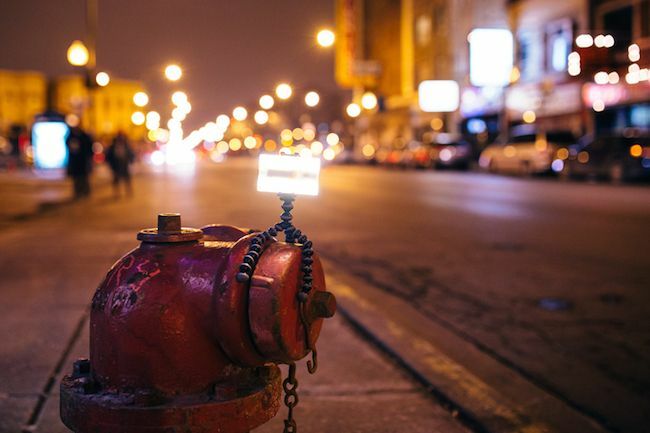 A shaky hand can ruin a picture in a blink, especially at night, and fortunately there are some reinforcements you can use. A tripod is a safe bet when working with a dSLR or point-and-shoot. Or if you’re on a smartphone, there are steadycam options for you too, like the very cool Nova, a Bluetooth off-camera flash for iPhone (shown above). It’s small enough to slip into your pocket and can be used with any iPhone. Plus, pairing it with Joby’s GripTight GorillaPod Stand which we love, gives you total control of the lighting in your “outdoor studio.” The Nova-GorillaPod Stand combo is light and small enough to tote anywhere, and the GripTight’s rubber grip pads mean your device is safe and secure whether you’re stabilizing it on a tree branch, a deck chair or a vampire’s coffin. But not the real kind, because they don’t exist. Riiight?? Also, as an extra precaution, I suggest you try holding your breath when you hit the shutter button. Sounds basic, but it really helps to keep the photo that much more steady. 7. Shoot first, ask editing questions later. 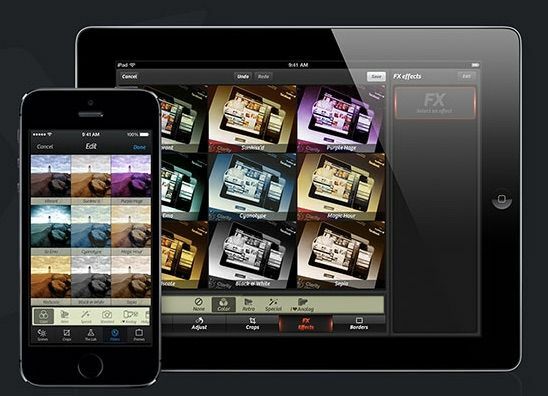 Sometimes, to get your photo looking perfect, even the pros turn to the app gods for help. Or, the app developers. There are so many great programs that let you adjust contrast, bump up shadows, and fiddle with filters and other ton features. 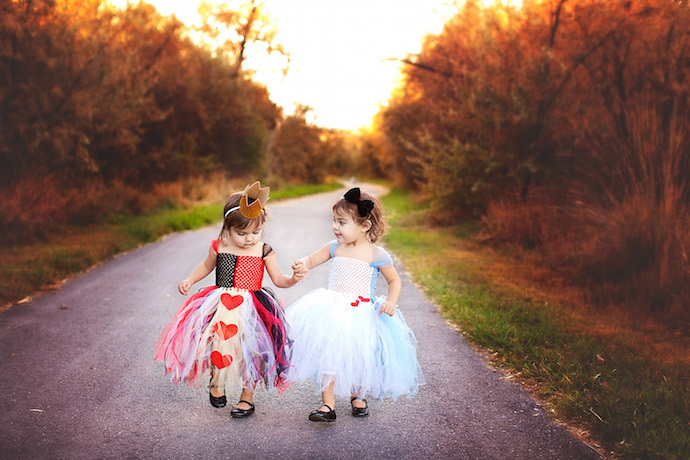 You may already have a favorite, like VSCO cam or effects editors like PicMonkey which has lots of Halloween themes. As for me, one of my all-time favorite easy photo editing apps is Camera+ 6 (above) which always helps get my images looking just right. Or, shall I say, boo-tiful? Great read as well as photos. Those are great pictures! I’m guessing you should probably be pretty good at taking photos before taking good photos =). I tend to be a little photo-challenged.